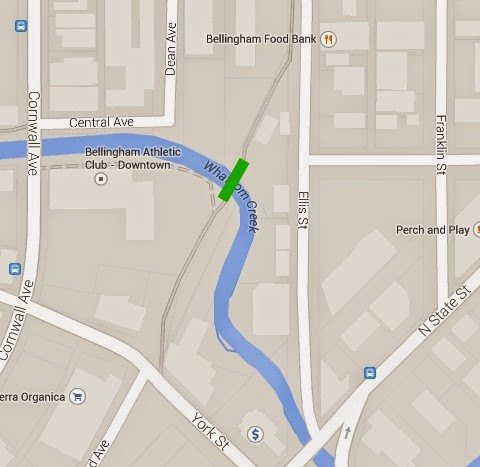 They are finally fixing the bridge for the bike trail across Whatcom Creek just north of downtown. A year, or two ago, a fire damaged the trestle. A new bridge is being put in place and I happened to be riding by at just the right moment. 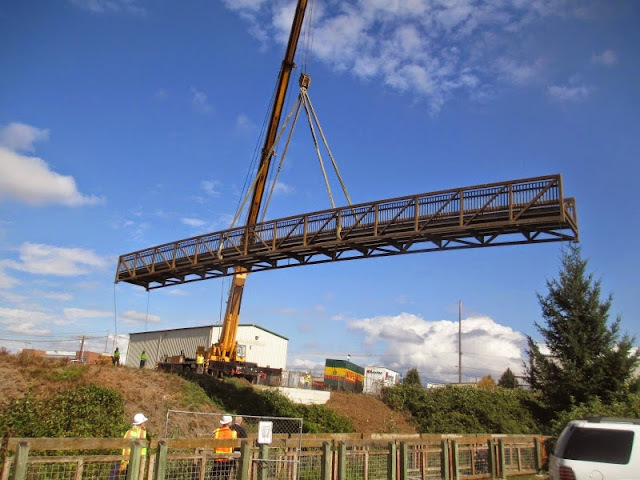 Video of bridge being hoisted into place.